Hi Im Kyle Shanahan and Im smarter than you. One of the worst? Aren't they THEY worst this year? Riley is a young star in the making. 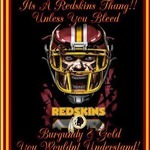 Not if the SKins keep playing like this. What rubbs salt in the wound is this team shows flashes that they can play with anybody... then Rex throws a pick or the Defense gives up a big play. It just drives you "Mad"
Our D always gives momentum back. Brady is really off today. Brady is playing like Grossman here. The hits getting in his head? Wow Gomes helmet with the pass defense. Wow. We hold'em to 3. Hernandez shoulda caught that one though. Good goal line stand, even with Barnes and Gomes sucking balls. Gomes not looking takes away a possible INT? lol. Brady cowers to take the hit that never comes and then winds up making a completion. F that. Helu gets better every week. Another sack but not on the OL. Just throws up another one. Awful throw but the flag bails him out. We got lucky there. Grossman with another dumb play, but was bailed out. Interesting that New England just got called for the Tom Brady penalty. Dont force it, take the 3.